There are so many health and beauty brands today with new ones coming to the market every month. Like this it’s easy to forget about well-established and trusted brands which have been going on for years. 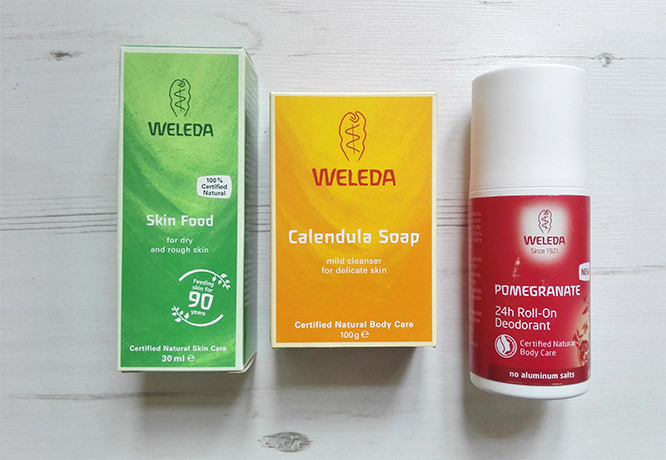 One of them is Weleda, a global brand which has been growing and creating natural, organic herbal medicine and body care products for over ninety-five years. 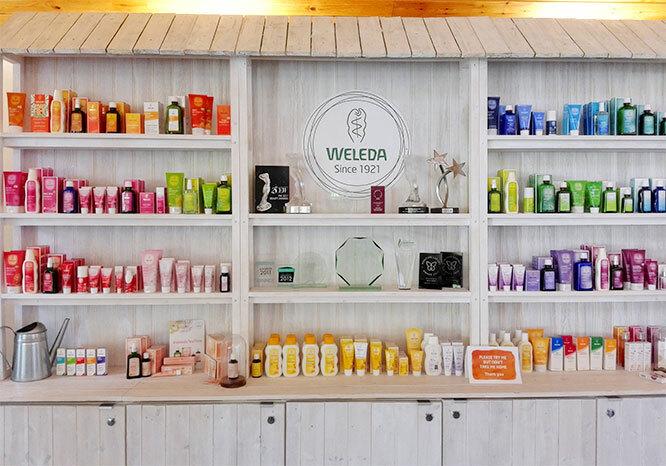 Today, Weleda is actually the world’s No 1 producer of natural skin and healthcare products and you will find it in various shops in fifty countries. I’ve been lucky to visit Weleda’s headquarters and their bio-dynamic gardens in Derbyshire recently (for Weleda Insight Day) where I learnt more about the brand, their ethos and how their medicinal plants are grown. 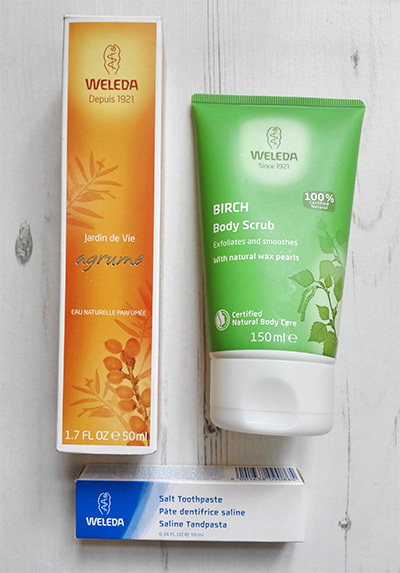 Weleda is a special brand, working in harmony with nature and always sustainable and ethical. If you haven’t tried any of Weleda’s products yet, you are definitely missing out as Weleda was the first natural cosmetics brand, setting an example for others to follow. They are no doubt experts in their field with well-loved products that work. Continue to read to learn more about the brand, their products and their gardens in Derbyshire which I visited recently. 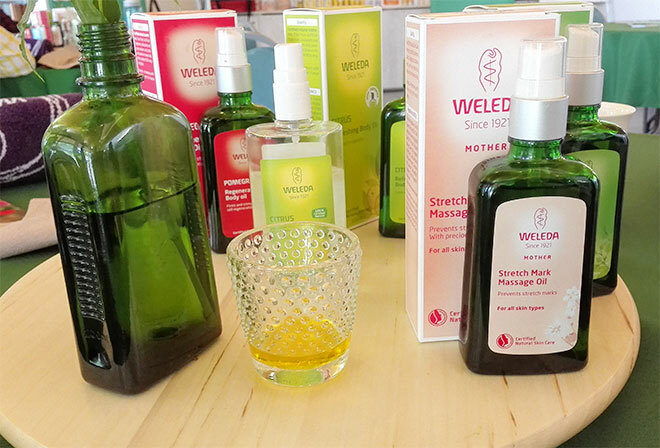 Weleda was founded in 1921 by the Austrian philosopher, Rudolph Steiner, together with a Dutch doctor and a chemist from Germany. It all started with a pharmaceutical laboratory which used medicinal plants from its own garden. Rudolph Steiner believed that the human body can heal itself naturally using gifts from nature and this was the basis of Weleda’s philosophy. In addition to that, the company is based on anthroposophy which translates into ‘the wisdom of man’. Anthroposophy is a spiritual world view with European roots, now established all over the world. Anthroposophy “explores the extent to which a person has achieved awareness of their inner life and lives in harmony with the surrounding natural and social world”. In practice, this translates into bio-dynamic farming, fair treatment of staff and stakeholders, sustainable manufacturing processes and cosmetic and pharmaceutical products. Weleda’s products are 100% certified natural and they all carry the NATRUE seal. When you see this seal you know that the products are genuinely natural and produced with the highest standards. The products with the NATRUE label contain only natural and organically sourced ingredients, are not tested on animals and do not contain artificial ingredients, synthetic fragrances, silicones, mineral oils and microplastics (microbeads). 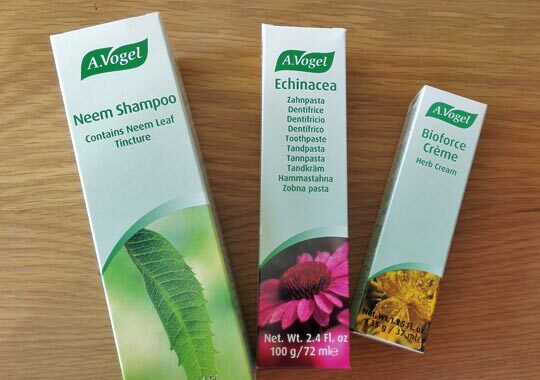 What’s more, these products can only use preservatives which occur naturally or are manufactured from natural origin. Every active ingredient their healthcare experts use in the formulations is there for a reason – to provide a health benefit in one form or another (the ingredients are never used as cheap fillers or to make fashionable marketing claims). Finally, I tell you all about my visit to Weleda’s Head office and gardens in Derbyshire, UK. It was my first visit to Weleda’s HQ in June this year and I wasn’t sure what to expect. I was invited along with other green beauty bloggers for Weleda Insight Day to learn more about the brand and their #CleanerBeauty campaign and of course, to visit their bio-dynamic gardens and learn about how their medicinal plants are grown. One of the most interesting parts of the day was definitely a presentation from managing director, Jayn Sterland, who highlighted the issues with conventional skincare products we use today and why using ‘cleaner’ beauty products is better for us. In the past, people didn’t use to use so many beauty products and today we use so many that our bathrooms are packed with them. Do we actually need them all? In this day and age, more babies have eczema than ever, 1 in 4 actually and the rates in the UK are higher than in some other countries. Also, skin problems and allergies are on the rise. Is this caused by the products we use regularly that are full of artificial ingredients? Do you actually know what kind of ingredients conventional skincare and body care products contain? Have you ever read the label and all the ingredients and looked them up online? The presentation about how things changed over time would definitely make a normal consumer think. But usually people don’t think much about these things and they just get on with their lives so more awareness needs to be raised which I am trying to do with this post. The beauty products you buy from normal shops contain all kind of synthetic ingredients which could irritate your skin and some of them are even bad for the environment. There is also a question of ethics for certain ingredients. Now, if you use lots of these conventional beauty products which contain potentially harmful ingredients, have you ever wondered how many of these chemicals you are putting on your skin? Your skin is like a sponge, absorbing a lot of these ingredients and without knowing you are doing your body more harm than good. Switching to cleaner, more natural products is better for your skin and your health too. But for Weleda, cleaner beauty is more than just using natural products – they take a more holistic approach and look at sustainability and ethics as well. The whole thing is definitely something worth thinking about. What is important to you? Your health? The well-being of your children? It’s never too late to start using more natural products but the first step is to start educating yourself about what ingredients you can find in the conventional beauty products. Use an app such as Skin Ninja to start analysing these ingredients. Visiting Weleda’s gardens was the second highlight of the day (or maybe the first!). I really enjoyed the tour of 13-acre biodynamic gardens, a really special place managed by the head gardener, Claire Hattersley. Here is where Weleda grows some of their medicinal plants which are then picked and used for homoeopathic remedies and various medicinal products. Weleda’s gardens have a high biodiversity and lively meadows. 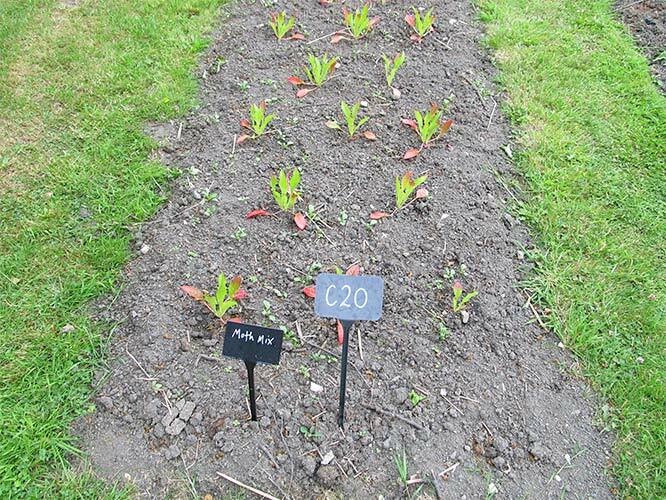 All the plants are carefully grown using a bio-dynamic planting calendar and Claire Hattersley works in tune with the earth’s rhythms and planetary influences. It’s really interesting to see how everything is connected to the forces of nature, so all the garden activities are done at specific times/on specific days, depending on the lunar phases. For example, seeds should be sown just before the Full Moon to speed up the germination process. If you have a chance to visit Weleda’s gardens, I highly recommend you do so. They have open days every year and they organise various events so that you could experience the gardens yourself and learn a thing or two about nature and gardening. If you are a blogger, don’t miss Weleda Insight Day next year! Weleda is no doubt a brand which should not be ignored and for sure, you cannot go wrong if you buy some of their products. At the end of the day, Weleda is an old brand, well trusted and unique in the world of natural health and well-being. 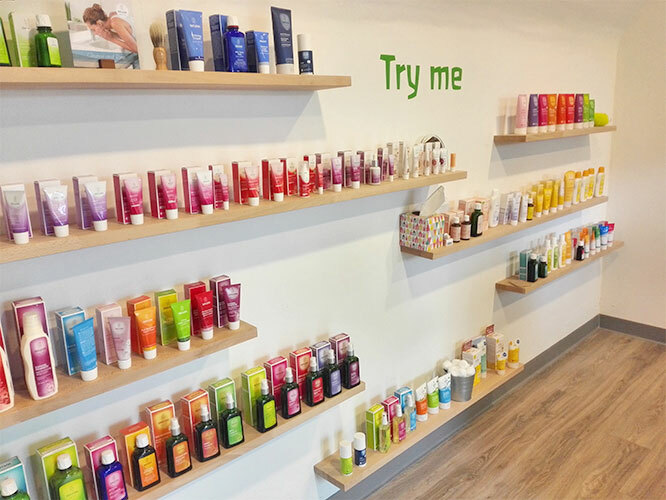 If you have a chance, do visit their headquarters in Ilkeston as this is where their new Wellbeing store is – this is the only store in the UK where you’ll find every single one of Weleda’s 120 natural and organic cosmetics and the full range of 50 or so herbal and homeopathic medicines, so well worth a visit! Alternatively, you can buy Weleda’s products online in places like Amazon, Holland & Barrett and LoveLula. And remember, if you still use conventional beauty products, it’s never too late to switch. You may as well start with Weleda’s products. I am sure you won’t be disappointed. Have you ever tried any of Weleda’s products? Which one is your favourite?